Alana tried to make herself as small as possible even while stealing glimpses at the large alien standing across the room. She hated anything to do with her uncle’s business, and most things to do with her uncle, for that matter, but had little choice but to accompany him on his errands when he asked her to come. He had, after all, provided her with food and shelter since her parents had died. The fact that he’d spent her entire inheritance doing so was something Alana tried not to think about too often. She stole another glance at the alien. 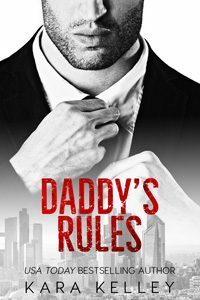 If there was one good part of being raised by her uncle, it was coming across all the strange and sordid characters he had business dealings with. He worked in a semi-legal trade in a far corner of the federation, one not usually bothered with by federation police or tax collectors. This had all seemed to work in her uncle’s favor until the pirates had begun attacking. As soon as the assaults on merchants had started, sellers were forced to look for other means of protecting themselves. Aliens like Galath had stepped in with their powerful ships to fill the need that had arisen and now were doing a swift business escorting freighters through unfriendly skies. 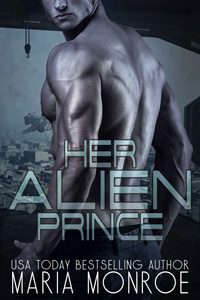 Alana’s eyes widened and her heart skipped a beat as she realized the imposing alien was pointing at her. She shot a furtive glance at her uncle, whose lips twisted into a sneer. From the moment the alien had stepped aboard, Alana had felt something inside herself that she’d never felt before. His large stature surely had something to do with it. He had broad shoulders and a chiseled chest that was barely covered by the small tunic he was wearing. He was as handsome a specimen as she’d ever laid eyes on and Alana felt a funny tickle in her core just from stealing glances at him. 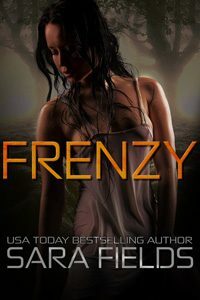 Alana turned her eyes toward the floor. She should have expected him to say as much. It still hurt, nonetheless. Her uncle had not wasted any love on her in the time she’d been in his care and she didn’t expect him to start now. “Why not?” asked the large alien, who had introduced himself as Galath when he’d boarded. “She’s nothing but a troublemaker. I’m telling you I’ve had nothing but trouble from her. I’ve got plenty of other girls here. Most are trained and more than ready to serve. That one’s barely housebroken,” her uncle said with a grunt. Alana felt a shame heat her cheeks at her uncle’s insult. She didn’t dare look up again. Yet, beneath her humiliation, there was another emotion that coursed inside her, hot and raw. Every time Galath spoke, Alana felt an ache travel from her stomach and settle in the softest place between her legs. His voice was so low and so… commanding. It was the voice of someone who no one would dare to ignore. The voice, along with the sudden shock of Galath pointing at her and choosing her from among all the other pretty and well-decorated women made her wonder what it would be like to walk away from this life, to become Galath’s companion. She allowed herself a secret smile at the thought. A heavy silence descended on the room as the alien Galath seemed to ponder the information. Alana glanced sideways at the row of girls standing next to her, six in all. They were all pretty and well-kept and they stood with their backs straight, showing off their breasts the way they’d been taught. Alana felt sorely out of place. Not only were her breasts much smaller than the others, her hair was not done in the braids they all wore. Her clothes were not made of fine Vitravian silk but were an old captain’s uniform that her uncle had given her, the insignias stripped. More embarrassment welled from inside her at how ugly she felt. “What kind of trouble?” Galath asked, finally breaking the silence. Alana heard her uncle’s heavy footsteps as he walked toward her. More silence followed. 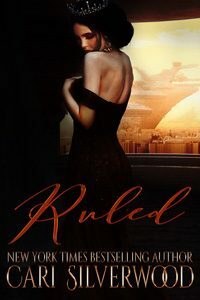 Though she didn’t dare look up, Alana could feel a heat from Galath’s gaze as he stared at her. After more terse silence, the alien spoke. “I’ve made my decision. That’s the one I want,” he said in perfectly fluent Standard Universal Dialect. “Your lordship,” her uncle replied in his raspy voice. “I don’t want any trouble from the High Command and I can tell you this girl is just that. I can’t count the number of times I’ve wanted to throw her out the airlock. She misbehaves. She doesn’t listen. Look at her, she can barely stand up straight! Stand up straight, you rotten little…” Her uncle trailed off, stepped toward her, and poked her shoulder. Alana straightened her back at the firm poke, but stared straight ahead almost trying to look through the wall. Alana dared to glance at the alien again. Though he was humanoid, he stood almost twice as tall as her fat uncle. 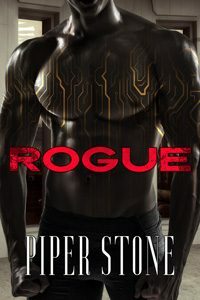 His broad chest was taut with thick, hard muscle in the tradition of the Barrat race that inhabited this corner of the universe. He was staring at her with an intensity that forced her to look away. The alien turned and walked out of the room. Now Alana’s heart began to beat harder in her chest. Not only because this was the last thing she had expected, to be chosen as the offering, but because her uncle had spun around and was making a beeline toward her, his face red, seething anger. “Now look what you’ve done!” he shouted, pointing to the door. “You listen to me, you little runt!” he snarled, sending tiny droplets of his spittle flying through the air. “If you make any trouble out there and cause my reputation any harm, I will hunt you down, take you back, and lock you up on Satron in the deepest darkest cave I can find. Do you understand?” he roared, jabbing a finger at her chest. Alana pondered her uncle’s words. She had no idea what the large alien had been talking about. It was certainly a strange thing to say, calling a human a pet. Pets were animals. Cuddly, furry, and cute. She’d never been told what the ‘offerings’ were and she’d never dared to ask. She knew they had something to do with the agreement that humans had with the Barrat, trading girls to ensure safe passage through their galaxy. But Alana had never really questioned what happened to the girls once they were handed over. None of them moved, they only cast him frightened glances. “I said get out!” he roared, pointing at the door. All six of the girls broke into a run and hurried out the door. “And you,” her uncle said, turning back to her, his finger raised again. “You go see if the cook can clean you up. The last thing I need is Galath complaining about your filth!” He spat again, turned around, and stormed out the door.